I love Disney! Disneyland! Disney movies! Disney channel! The Disney Store! If it’s Disney, chances are I love it. When I describe myself to others I always mention how much I love Disney. Living in sunny Southern California makes it practically a must to have a Disneyland Annual Pass. Disneyland is a place for families no doubt, but the thought of crowds & lines can be a little scary for parents especially when you have a baby. 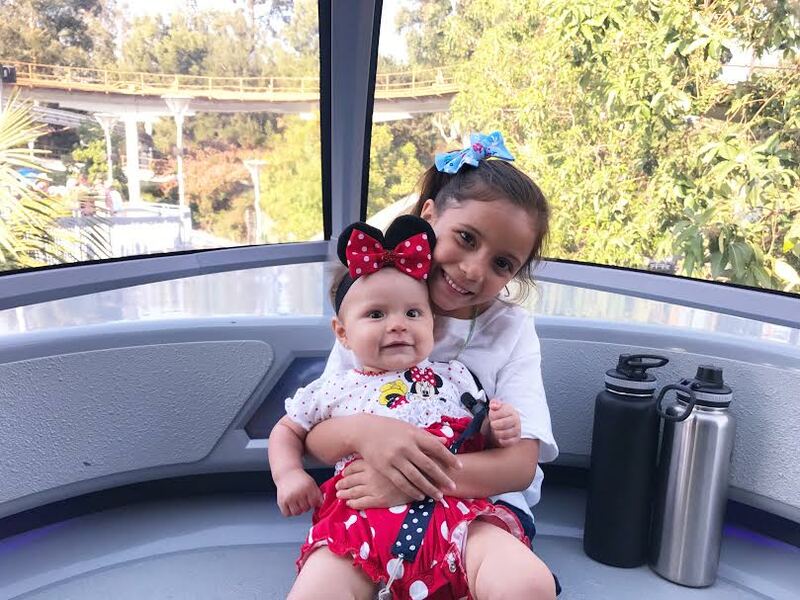 Zoey & Lia’s first Disneyland trips were at the age of…3 WEEKS OLD! 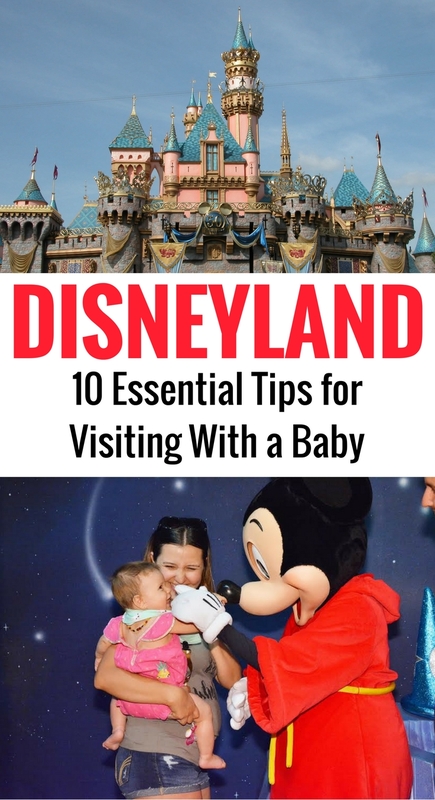 I am here to help & give you my top 10 Disneyland With a Baby Travel Tips! The customer service lines to purchase tickets at Disneyland are always long. Save a lot of time by purchasing your single day or multi-day Park Hopper passes online. You know your kids will want a T-shirt, or maybe even you will. Whether it be a T-shirt or a hat or a mug, there are much more inexpensive locations to purchase them. Target is always one of my favorite places to purchase character attire and you can always find something for everyone in the family for under $15 a piece…about 1/2 the cost inside the parks. Other great places to buy character clothing would be: Amazon, The Disney Store, Macys, Kohls, Wal Mart, and H&M. Disneyland has changed the position of metal detectors and security making the wait for the tram to ride into the parks longer than it used to be. Right when you get off the escalator, you have a security checkpoint and then another line to wait for the tram. Unless both lines are relatively short, we make our way across to Downtown Disney. There is a walkway for you to walk across to the Downtown Disney. The security checkpoint there is much faster and you don’t need to wait for the stroller designated parts of the tram either. I am all about saving time & money! This is a super local tip and one of my favorites! When you enter Downtown Disney (after you have walked instead of using the tram) to your left, right past the Rainforest Café, you will find the Disneyland Monorail station. With your pre-purchased tickets in hand, all you need to do is walk in and have your ticket scanned! Voila! You have avoided the long lines at the entrance gates. You will then need to walk up to the platform, fold your stroller, pick any of the Monorail carts and sit down for a quick ride into Disneyland’s Tomorrowland. A fun tip: ask to be seated in the front of the Monorail for a beautiful view. Waiting in long lines with a baby is no fun! We were given this tip from a worker at the park: when the park opens Fast Passes are given for every hour, once the park gets more crowded they space them out for every 2 hours. 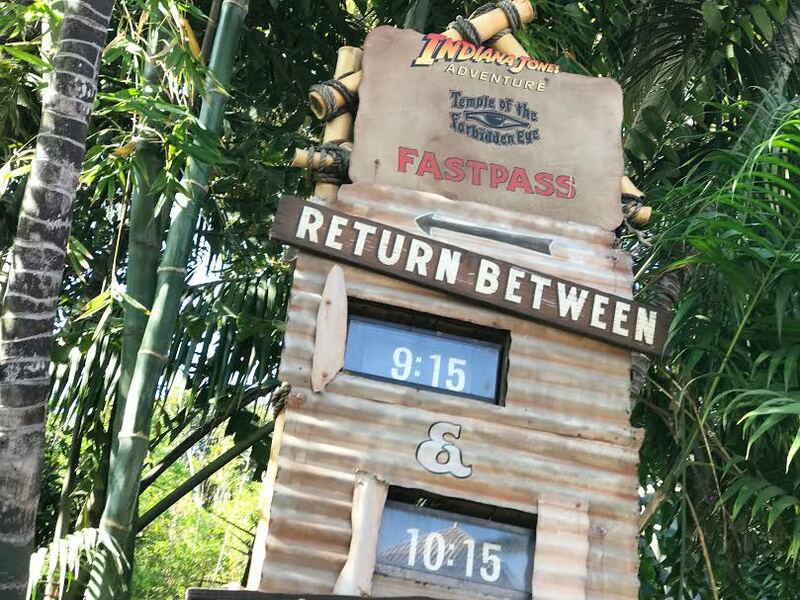 Getting Fast Passes right when you get there is the perfect way to save time in lines. A couple of months ago I learned about the Baby Swap Passes available (also called Rider Switch, Rider Swap or Child Swap). The way it works: someone stays behind with the baby while your group goes on the ride. When you get to the front of the line you ask for a Baby Swap Pass, they hand you a pass and then the person who was waiting can ride with 2 other people. It has become our go-to to make sure no one misses a fun ride. My diaper bag packing list can seem extensive so feel free to take out what you don’t need: feeding accessories (bottles, formula, nursing cover, etc. ), snacks (plenty of them), water (we bring in enough water bottles for the whole family), diapers, wipes, pacifiers, hand sanitizer, bibs, a sunhat, sunscreen, extra clothes (if its hot, I recommend bringing an extra outfit plus leggings of pjs for when it gets cool at night), a jacket for everyone (it can get chilly at night), and a blanket (perfect for saving your spots and sitting during the parades). Let’s say you forgot or ran out of wipes or diapers, maybe formula, or even a pacifier…there is NO need to panic! 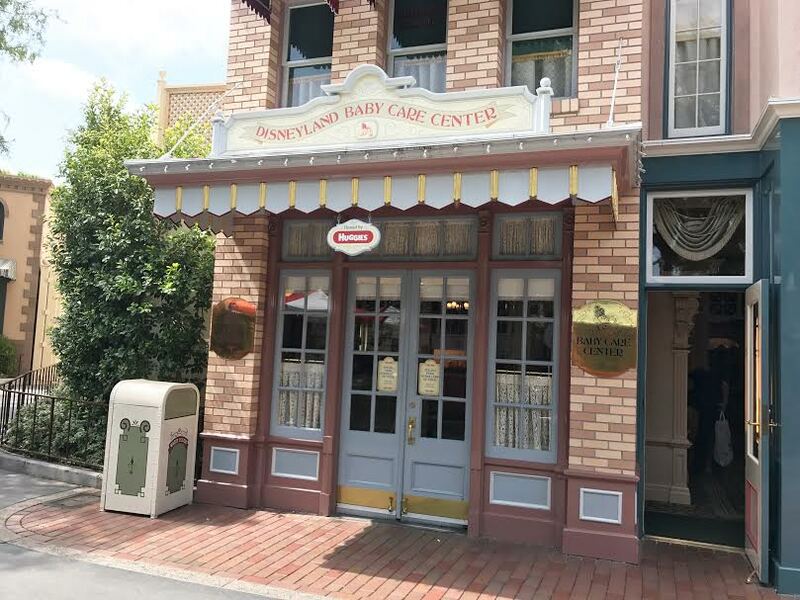 The Disney Baby Care Center in Disneyland has diapers, formula, pacifiers, baby food, wipes, and even baby medicine for sale. The Baby Center also has various changing tables, high chairs you can use to feed your little one, and pumping stations for your convenience. My favorite amenity is the access to a quiet and private nursing station. Many times while I am on the go I just feed out, but it is so nice to have a quiet and peaceful place to get away from the noise and crowds to feed your baby calmly. We love to wear Lia whenever we can. It is so much easier to get around and provides us with so much comfort to know she is right there with us. For this tip all I can say is – Baby Wear! Baby Wear! Baby Wear! 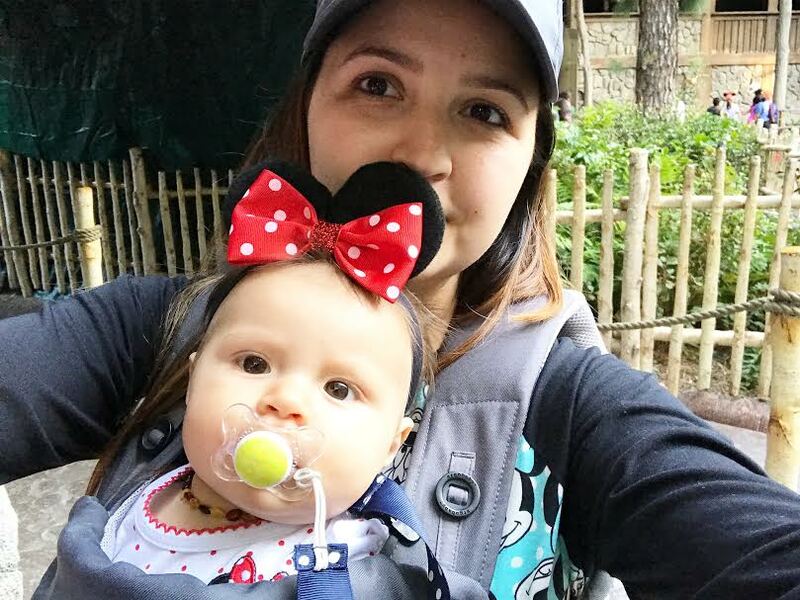 I love my ErgoBaby 360 with mesh because she can be facing outwards looking around and leaves me a free hand for Zoey or some delicious Dole Whip (don’t forget to try Dole Whip at the entrance of Adventure Land). Believe it or not, most people begin to hold their spots for parade watching and the fireworks about 1.5 hours before the show. I find this to be a perfect time to sit down and eat or for you to stay with the babe while your hubby takes your older kiddos on some rides. Remember that blanket I told you to pack earlier? Well, take it out and lay it out so you save up enough space for your whole party. If you want to get some food you can have your own picnic at Disneyland while you wait. If you are watching the late parade right before the fireworks, I recommend finding a spot that works to watch both. I found that in front of the castle and all the way down to the end of Main Street are the best to catch both shows. 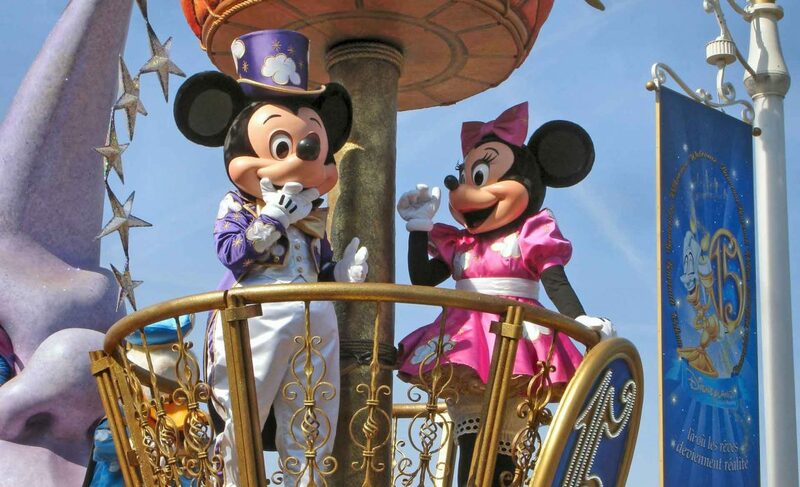 Whether it is your first time visiting or you have an annual pass, enjoy yourself. 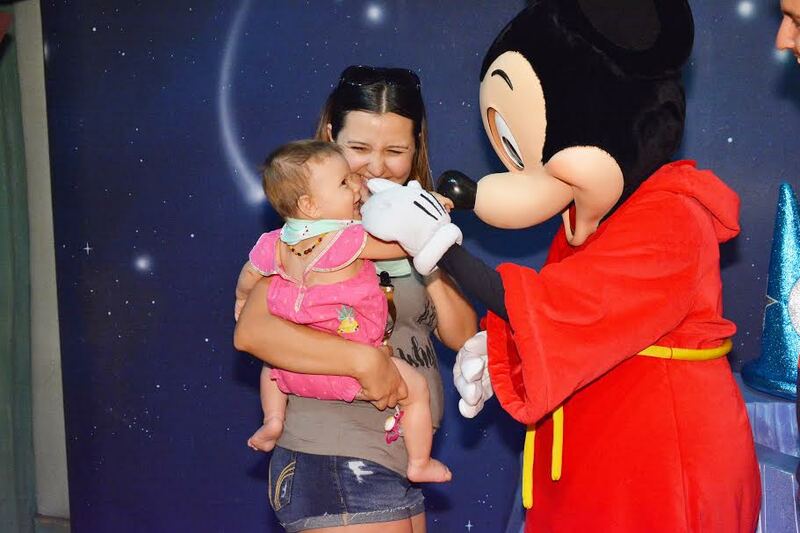 This is the place you can be even sillier with your kids and where no one will think anything of it when you get nervous to meet your childhood hero Mickey Mouse. Take your kid’s hands and skip down Main Street. Karen, aka Mamma Bear, is a target addict, Disney enthusiast, Pinterest/DIY craft aficionado, and a full-time Mamma Bear! You can follow her Instagram, Facebook and Pinterest.